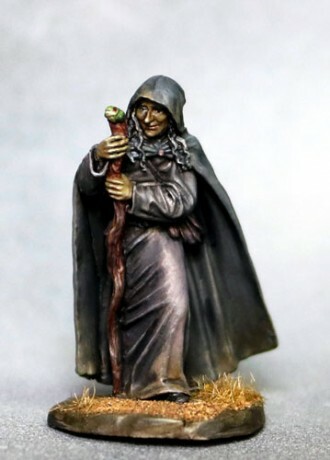 To kick off October right 17 brand new releases have been posted up on the Dark Sword Web site including three new Tom Meier witches and a Jeff Grace Wraith that lend themselves well to fun Halloween themed miniature projects. In addition, they have more adventuring types from Jeff Grace, Bobby Jackson and Tom Meier, a couple lovely Critter Kingdoms tribute pieces from Dave Summers and a real life pet tribute from new Dark Sword sculptor Andy Pieper. Welcome aboard Andy! The painted studio models for this release were created by Marike Reimer, Kat Martin, Jennifer Wojcik, Mary Profitt, Anne Foerster, Aaron Lovejoy and Dark Sword newcomer Elizabeth Beckley-Bradford. Welcome aboard Elizabeth! There are so many awesome painted studio models to check out and be inspired by. So for sure swing on by the Dark Sword site and check out all the new painted minis.